The beginning of the year may be a stressful time for you with the end of the holidays and taxes due soon, so relaxation may not come easily. 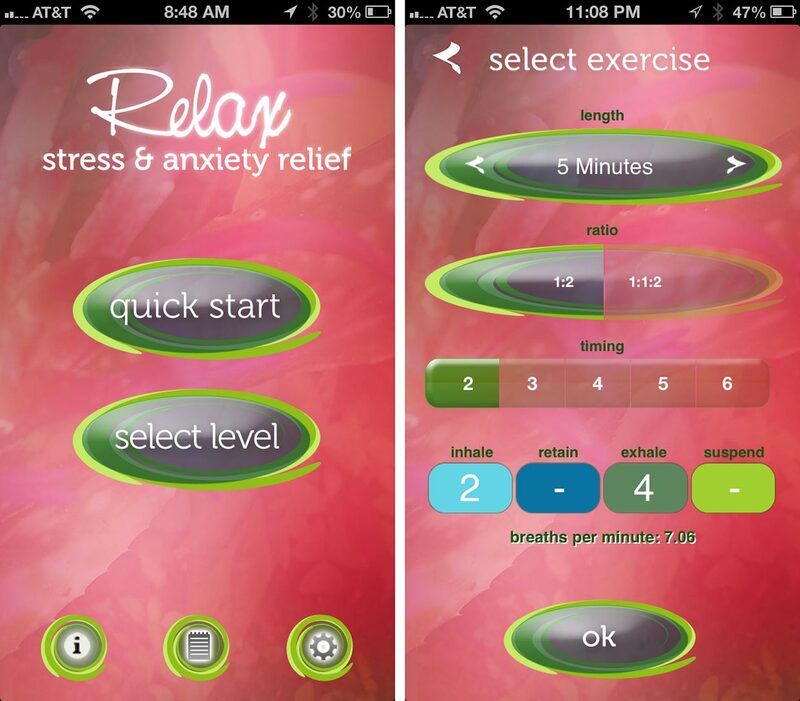 Relax - Stress and Anxiety Relief is an iPhone app filled with breathing exercises that's an ideal stress management tool. With this week also being sleep and relaxation week here at iMore for Mobile Nations fitness month, now is the perfect time to take a closer look at Relax. 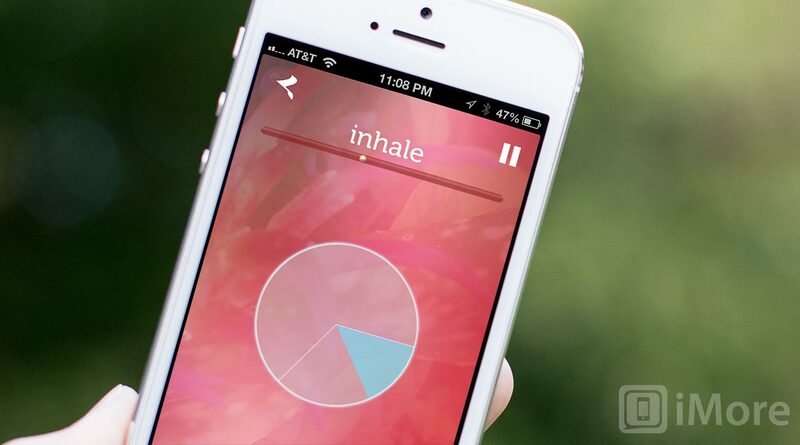 Relax includes three difficulty levels: beginner, intermediate, and advanced. The beginner levels focuses on 2-stage breathing (inhale, exhale) and introduces 3-stage breathing (inhale, retain, exhale). In the intermediate level, the breathing patters progressively increase the length of the middle retention in 3-stage breathing, and the advanced level develops 4-stage breathing (inhale, retain, exhale, retain). When you select a level, you can select the length, ratio, and timing. As you make adjustments to the options, the breathing pattern will be revealed at the bottom of the screen with the number of breaths per minute that the exercise will have you do. When you start the exercise, the breathing pattern will be presented as a pie chart. As the curser passes around the circle, a different calming sound will be played during each section. This makes it easy to close your eyes once you start getting the hang of it. Closing your eyes will bring even more relaxation. It does counting for you so that you can focus on awareness and technique. Music cues that use distinct tones for each phase of breathing. A structured course that gradually reduces your breathing rate as you progress through the sessions. 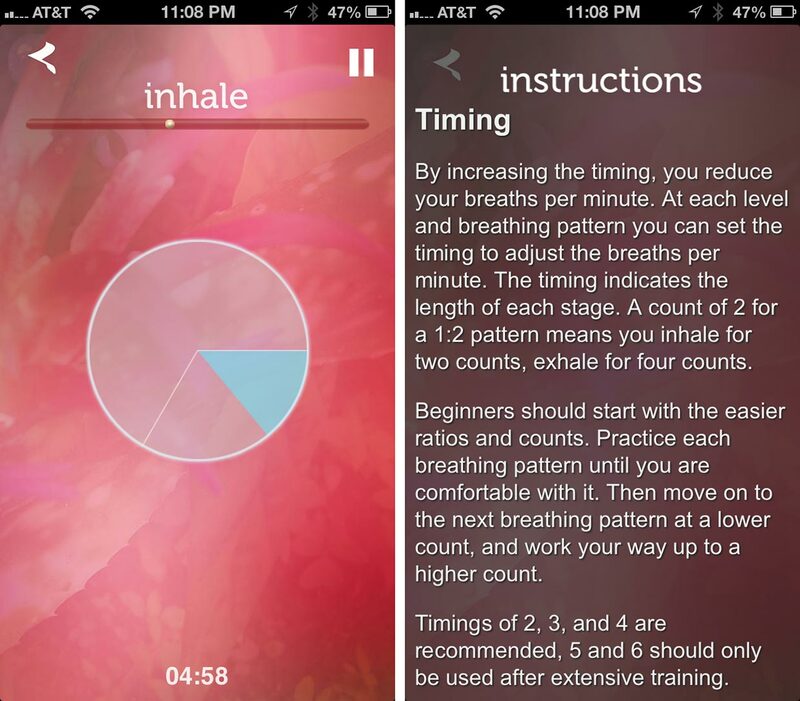 I've never been one to do breathing exercises when stressed out, but after using Relax, I understand how helpful they can be. Even if you're not stressed, the breathing exercises in Relax can be beneficial and help keep you in a non-stressed state.